In this episode of “On Campus”, BCB high school volunteer Hayden Tutty interviews graduating High School senior Catherine Edwards, in a 7-minute recording made in early June 2014. 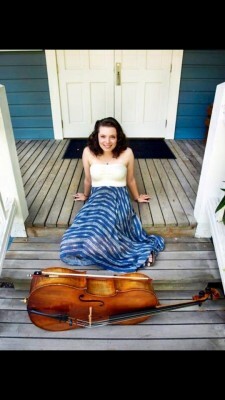 The interview occurred at a time when Catherine was preparing for her senior cello recital on June 13th. In this podcast, we briefly meet Catherine. Then, a little less than 3 minutes into this recording, Catherine performs a 4-minute excerpt from her recital on her cello. The Club was formed in collaboration with BCB, and with financial support from Sustainable Bainbridge, the Rotary Club of Bainbridge Island, and a start-up grant from Bainbridge Community Foundation. 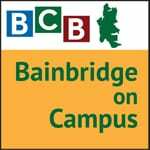 In spring 2014, a studio was furnished and equipped at the High School with a generous grant to Sustainable Bainbridge from the Rotary Club, along with support and cooperation from BCB and the Bainbridge Island School District. 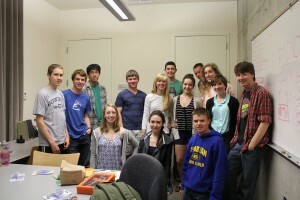 Members of the BCB-supported Bainbridge High School Radio Club. During the school year, the Club generally meets weekly with occasional training from BCB volunteers and guidance from faculty adviser Charles Dunn. The BHS Radio Club welcomes new members. Credits: BCB-BHS Host: Hayden Tutty; BCB-BHS production manager and audio editor: Charlie Hanacek; Podcast art: artopia creative.